We are one of the best Biryani Paste Manufacturers, Exporter, Supplier in Mumbai,Maharashtra,India. 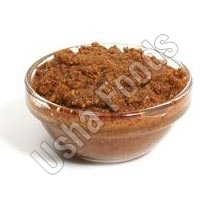 Our Biryani Paste is the flavor base of biryani, a popular and well loved Indian dish. We have made our mark as one of the dependable Manufacturers, Exporters and Suppliers of Biryani Paste. We make the Biryani Paste by grinding spices such as coriander, turmeric, cumin, cardamom, chili, salt, pepper, garlic, and cinnamon together with oil. Add this Biryani Paste spice to make aromatic and appetizing Biryani. Capacity 25 to 10000 ltrs.